We got lots of feedback from users that ideas with less than 15 minutes timeframe are of little relevance – they get old too fast and add noise to the idea streams. So publishing to the public gallery is now reserved for ideas with a minimum timeframe of 15 minutes and above. 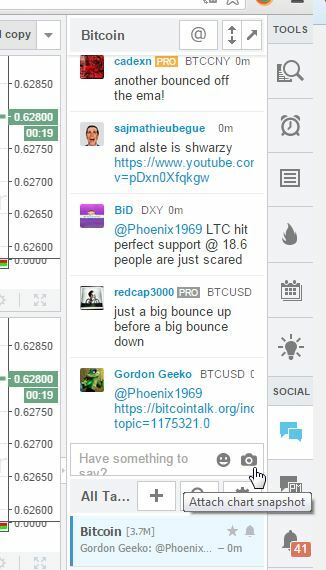 The best place to share short term ideas is the chat – to get fast feedback and upvotes from other members. To share to chat, publish an idea privately and paste the link into chat. Private ideas can also be shared to any other network, such as Twitter or StockTwits. You can also send snapshots of the chart to chat. Ideas on any timeframe can be published privately. To make sure users sharing to chat get noticed, there’s now a ”LIke” button in the chat for snapshots and ideas. Complete publishing rules and details are here – https://www.tradingview.com/house-rules/.